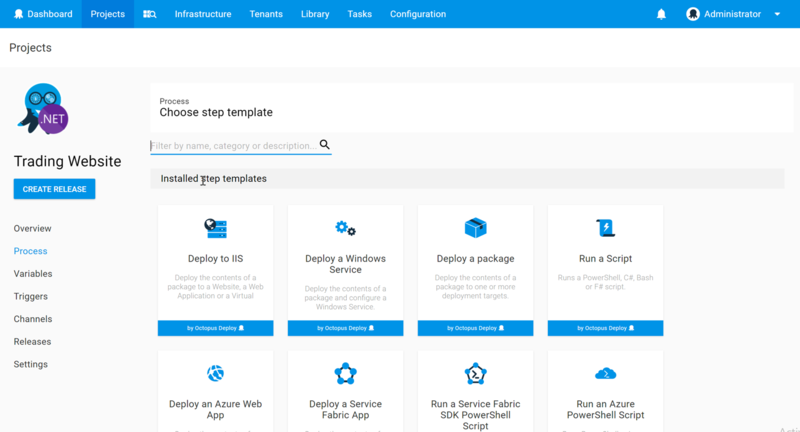 Rolling deployments are a pattern whereby, instead of deploying a package to all servers at once, we slowly roll out the release by deploying it to each server one-by-one. In load balanced scenarios, this allows us to reduce overall downtime. Normally, when executing a deployment process with multiple steps, Octopus runs all of the steps sequentially; it waits for the first step to finish before starting the second, and so on. However, sometimes this isn't desired. If you are deploying to a farm of 10 web servers, it might be nice to deploy to one machine at a time, or to batches of machines at a time. This is called a rolling deployment. Rolling deployments can be configured on a PowerShell or NuGet package step by clicking Configure a rolling deployment. When configuring a rolling deployment, you specify a window size. The window size controls how many deployment targets can be deployed to at once. 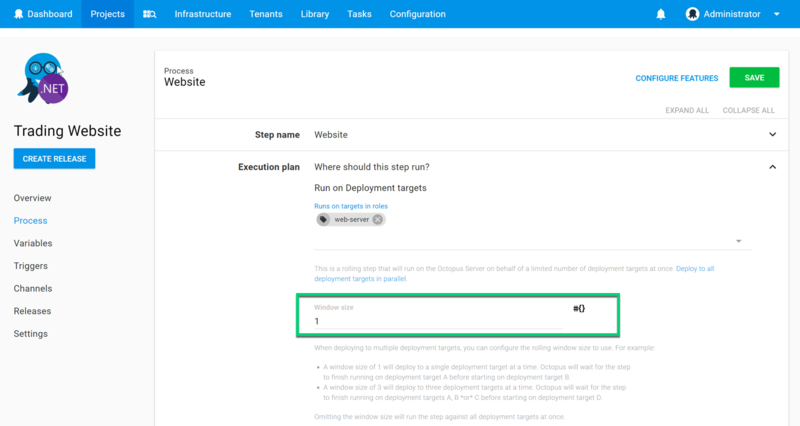 Rolling deployments allow you to wait for a step to finish on one deployment target before starting the step on the next deployment target. But what if you need to perform a series of steps on one target, before starting that series of steps on the next target? To support this, Octopus allows you to create Child Steps. First, open the menu for an existing step, and click Add Child Step. All child steps run on the same machine at the same time, and you can add more than one child step. You can also change the order that the steps are executed in using the Reorder steps link. You can edit the parent step to change the roles that the steps run on or the window size. With this configuration, we run the entire website deployment step - taking the machine out of the load balancer, deploying the site, and returning it to the load balancer - on each machine in sequence as part of a rolling deployment step. Web01 is removed from the load balancer, the new release is deployed successfully and Web01 is returned to the load-balanced pool. Web02 is removed from the load balancer, but the deployment of the new release fails. You can choose what happens next while Web01 and Web03 are still in the load-balanced pool. Fail the entire deployment so you can try again later. Retry the deployment to Web02 as if the failure never happened. Ignore the error as if it never happened. Exclude the machine from the deployment continuing the deployment to the next machine in the rolling deployment.